O Lord God, the woman who had fallen into many sins, having perceived Thy divinity received the rank of ointment-bearer, offering Thee spices before Thy burial wailing and crying: "Woe is me, for the love of adultery and sin hath given me a dark and lightless night; accept the fountains of my tears O Thou Who drawest the waters of the sea by the clouds incline Thou to the sigh of my heart O Thou Who didst bend the heavens by Thine inapprehensible condescension; I will kiss Thy pure feet and I will wipe them with my tresses. I will kiss Thy feet Whose tread when it fell on the ears of Eve in Paradise dismayed her so that she did hide herself because of fear. Who then shall examine the multitude of my sin and the depth of Thy judgment? Wherefore, O my Saviour and the Deliverer of my soul turn not away from Thy handmaiden O Thou of boundless mercy." 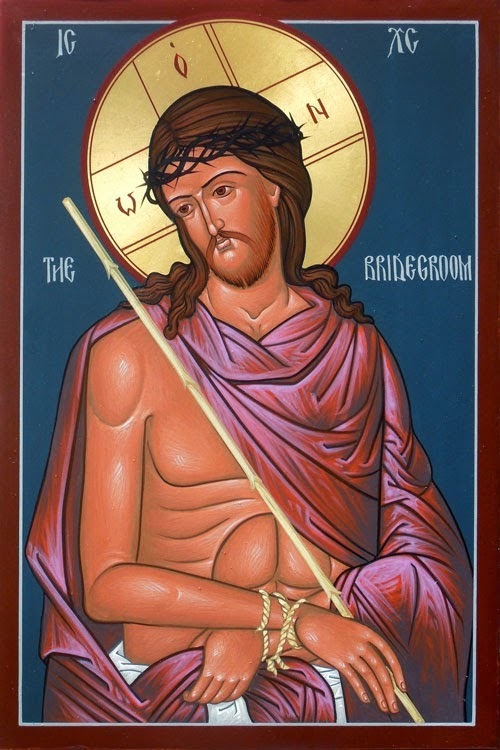 Great and Holy Pascha: Christ is Risen!